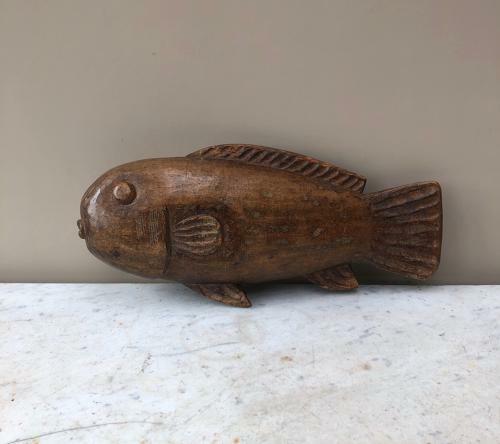 Wonderful naive, good size, early Victorain hand carved fish. Great example of Folk Art. He needs to be displayed on a spike/stand. Great look & colour. One side displays standing up the other doesnt as the fin is damaged that side.